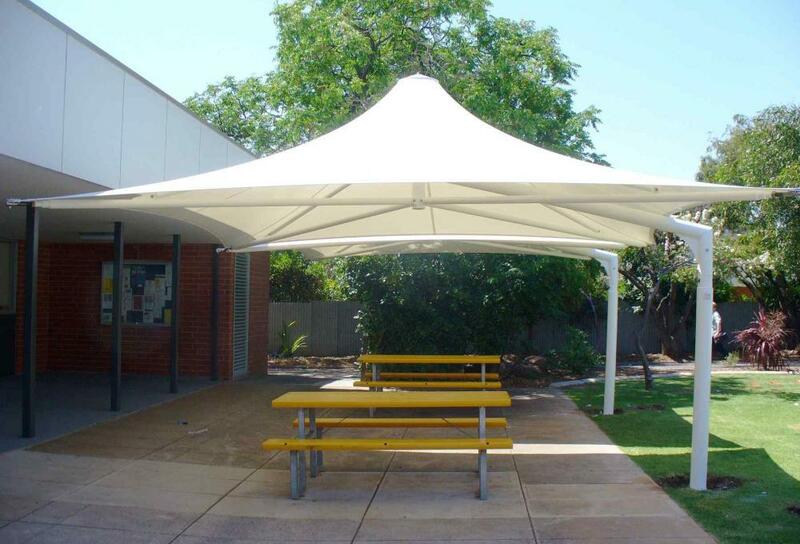 The Flexshade® Hexagonal Umbrella is a modular conical membrane with central column support. With the ability to link on all sides the Hexagonal can provide full weatherproof coverage. 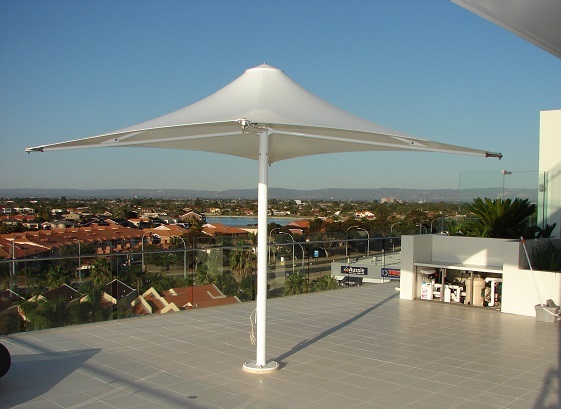 A Cantilever Umbrella has the ability to span large areas using one support column. 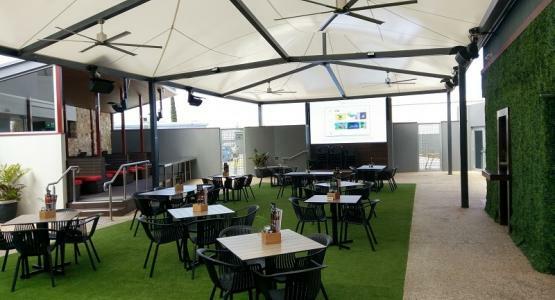 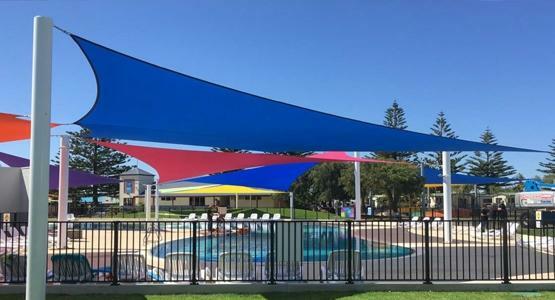 Minimalist aesthetics along with functional sun and rain protection make the Flexshade® range of Umbrellas ideal for car-parks, pools, patios, and other outdoor areas. 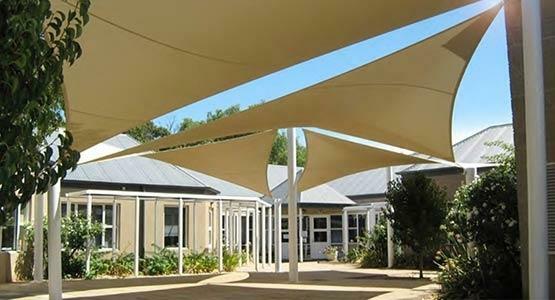 Shadeform can build Custom Modular Structures with a wide range of available configurations. 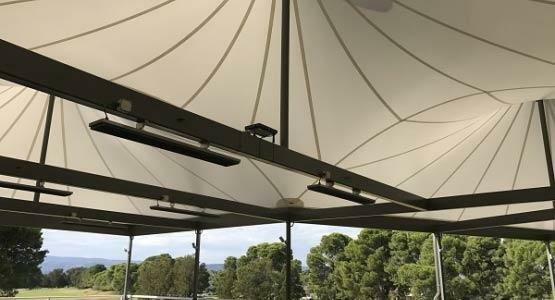 Still keeping Flexshade®’s long list of features and benefits, all structures come engineered with standard Flexshade® designs. 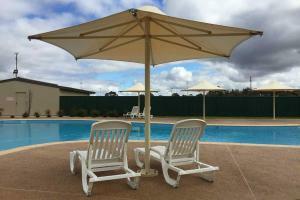 The Duet Twin Umbrella is the latest offering from the Flexshade® range. 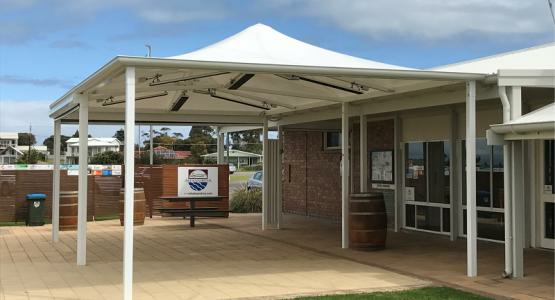 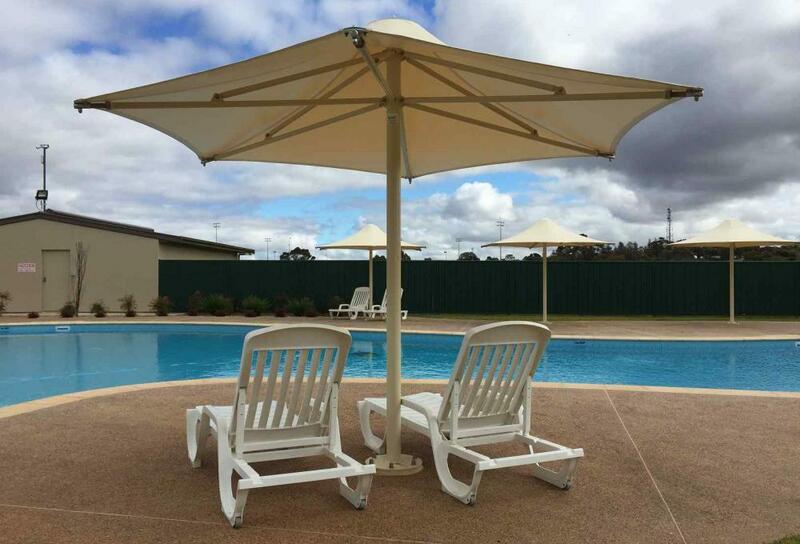 With twice the area of a standard cantilevered umbrella supported on a single cantilevered column, the Duet is both eye catching and functional, providing maximum weatherproof coverage with the minimum number of posts. 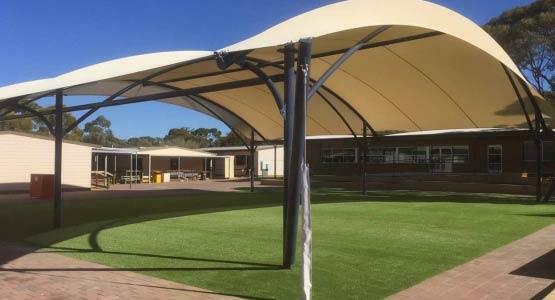 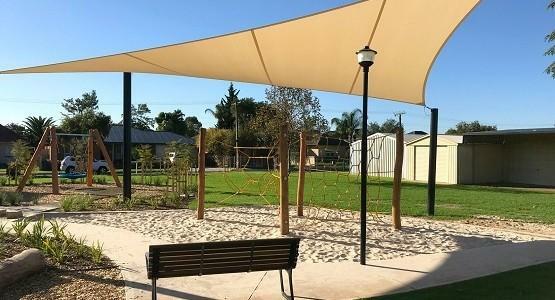 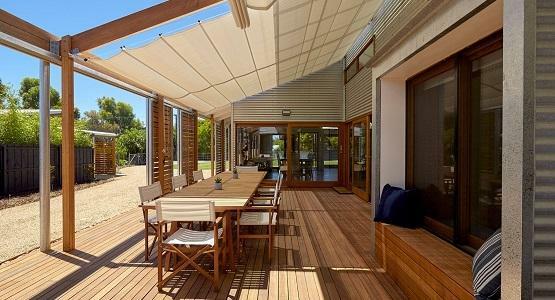 Shadeform's range of 'Flexshade®' outdoor umbrellas are superior in strength and quality. 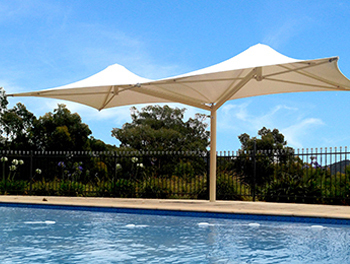 Made in Australia, the Flexshade® umbrella is as long-lasting as they come. 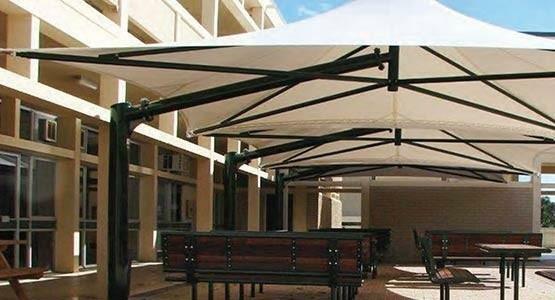 Once installed you can expect to have great all-weather protection for up to 15 years, or more! 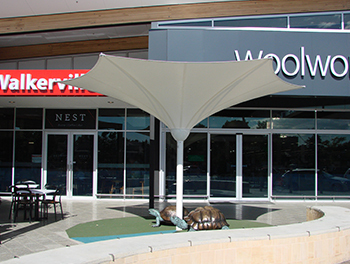 Market umbrellas are not sold at Shadeform for a number of reasons. 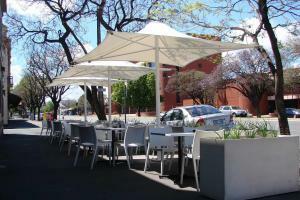 First and foremost, market umbrellas have a very limited lifespan, often needing replacement after only a couple years. 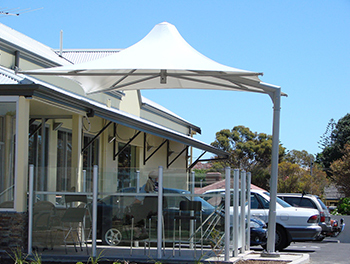 The Flexshade® permanent fixed umbrella differs in many ways. 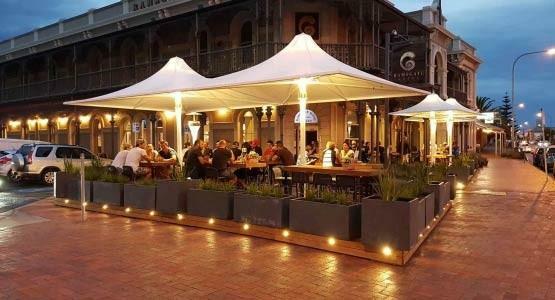 What you cannot see is that under the umbrella is a large concrete footing, often consisting of a cubic meter of cement! 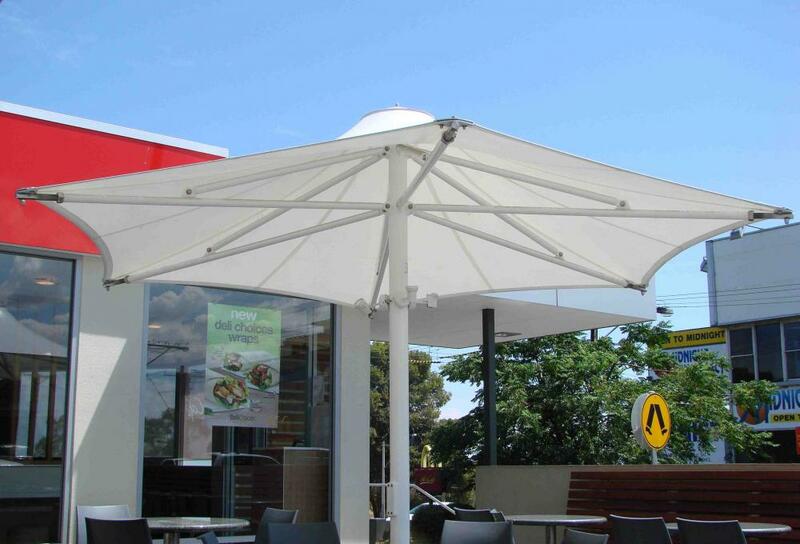 This makes the Flexshade® outdoor umbrella withstand even the strongest of winds. 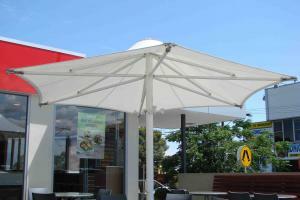 In fact the Flexshade® outdoor umbrella is designed to withstand hurricane winds of 160 km/hr.